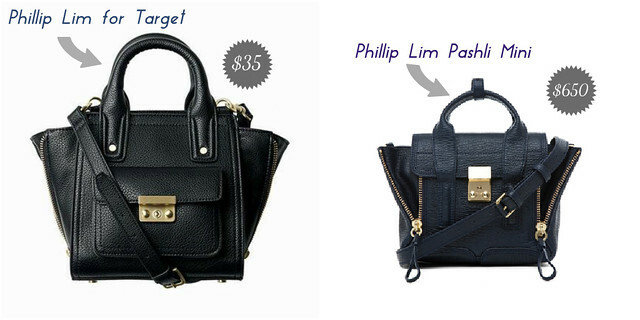 You might have heard of the Phillip Lim for Target collaboration will hit stores this Sunday 9/15. While I have mixed feelings about these collaborations, I am thrilled about this particular one. I am not interested in the women’s clothing from what I saw online but can't wait to check out his handbags. The mini satchel (pictured above) is my most favorite piece in the entire collection. I was surprised to see it only costs $35. I was expecting this bag to be more in the $50-75 range. You bet I will snag one for myself this Sunday =). Check out the entire collection here. Will you be shopping the collection? If so, what pieces are you eyeing? Wow I kinda like the Target version better, looks-wise. But I wonder if they will have that annoying name plate that says "Phillip Lim for Target" on it like they have with other handbags in other collaborations. Hope not! That's great wish there was Target in Switzerland! I agree with you on the clothes. I'm loving the $35 dollar bag though! Can't wait to see you with the new bag! I can't wait to check out the whole collection - I think it's going to be so fabulous! to start my own site soon but I'm a little lost on everything.